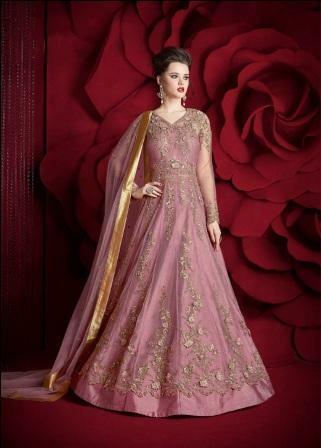 Description Remarkable Pink Color Embroidered Partywear Designer Anarkali Suits or Floor Length Anarkali Suits of Net with Beautiful Thread, Badla Embroidery With Sequins. The Fabric of Bottom is Shantoon. Comes with a matching Chiffon Dupatta with Border.